With a bit of bookkeeping legerdemain borrowed from the Bush administration, the Democratic Congress is about to perform a cover-up on the most serious threat to America’s economic future. 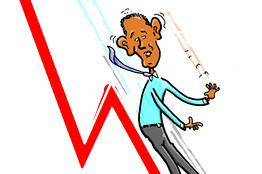 That threat is not the severe recession, tough as that is for the families and businesses struggling to make ends meet. In time, the recession will end, and last week’s stock market performance hinted that we may not have to wait years for the recovery to begin. The real threat is the monstrous debt resulting from the slump in revenue and the staggering sums being committed by Washington to rescuing embattled banks and homeowners — and the absence of any serious strategy for paying it all back. The Congressional Budget Office sketched the dimensions of the problem on March 20, and Congress reacted with shock. The CBO said that over the next 10 years, current policies would add a staggering $9.3 trillion to the national debt — one-third more than President Obama had estimated by using much more optimistic assumptions about future economic growth. Over the weekend The Times and other newspapers reported leaked details about the Obama administration’s bank rescue plan, which is to be officially released this week. If the reports are correct, Tim Geithner, the Treasury secretary, has persuaded President Obama to recycle Bush administration policy — specifically, the “cash for trash” plan proposed, then abandoned, six months ago by then-Treasury Secretary Henry Paulson. After all, we’ve just been through the firestorm over the A.I.G. bonuses, during which administration officials claimed that they knew nothing, couldn’t do anything, and anyway it was someone else’s fault. Meanwhile, the administration has failed to quell the public’s doubts about what banks are doing with taxpayer money. And now Mr. Obama has apparently settled on a financial plan that, in essence, assumes that banks are fundamentally sound and that bankers know what they’re doing. It’s as if the president were determined to confirm the growing perception that he and his economic team are out of touch, that their economic vision is clouded by excessively close ties to Wall Street. And by the time Mr. Obama realizes that he needs to change course, his political capital may be gone. Let’s talk for a moment about the economics of the situation. Right now, our economy is being dragged down by our dysfunctional financial system, which has been crippled by huge losses on mortgage-backed securities and other assets. As economic historians can tell you, this is an old story, not that different from dozens of similar crises over the centuries. And there’s a time-honored procedure for dealing with the aftermath of widespread financial failure. It goes like this: the government secures confidence in the system by guaranteeing many (though not necessarily all) bank debts. At the same time, it takes temporary control of truly insolvent banks, in order to clean up their books. That’s what Sweden did in the early 1990s. It’s also what we ourselves did after the savings and loan debacle of the Reagan years. And there’s no reason we can’t do the same thing now. But the Obama administration, like the Bush administration, apparently wants an easier way out. The common element to the Paulson and Geithner plans is the insistence that the bad assets on banks’ books are really worth much, much more than anyone is currently willing to pay for them. In fact, their true value is so high that if they were properly priced, banks wouldn’t be in trouble. And so the plan is to use taxpayer funds to drive the prices of bad assets up to “fair” levels. Mr. Paulson proposed having the government buy the assets directly. Mr. Geithner instead proposes a complicated scheme in which the government lends money to private investors, who then use the money to buy the stuff. The idea, says Mr. Obama’s top economic adviser, is to use “the expertise of the market” to set the value of toxic assets. But the Geithner scheme would offer a one-way bet: if asset values go up, the investors profit, but if they go down, the investors can walk away from their debt. So this isn’t really about letting markets work. It’s just an indirect, disguised way to subsidize purchases of bad assets. The likely cost to taxpayers aside, there’s something strange going on here. By my count, this is the third time Obama administration officials have floated a scheme that is essentially a rehash of the Paulson plan, each time adding a new set of bells and whistles and claiming that they’re doing something completely different. This is starting to look obsessive. But the real problem with this plan is that it won’t work. When Kyrgyzstan announced in February that it was expelling a U.S. air base after Russia promised it $2 billion-plus in aid and loans, American officials said the decision wasn’t final and a U.S. presence was still under discussion. After the Kyrgyz parliament ratified the accord with near unanimity and the country’s Foreign Ministry issued a notice to vacate in 180 days, however, Russia’s apparent advance at U.S. expense is almost certain. The aid package that Russian Prime Minister Vladimir Putin’s government crafted was grounded in a hard-knuckled, realpolitik approach to this impoverished, landlocked Central Asian country. It appears to be an offer the Kyrgyz government couldn’t refuse. All the elements, starting with what had seemed to be its most modest component — a $150 million strings-free grant to Kyrgyz President Kurmanbek Bakiyev — filled needs that the U.S. either didn’t see or wouldn’t match. While the Bush administration championed democratic reform in Central Asia, a policy that deeply alienates strongman rulers in the corruption-plagued region, Putin has focused on putting cash on the table and making deals. The Manas Air Base — which is at the main airport outside the Kyrgyz capital and is used mainly to ferry troops in and out of Afghanistan — became a sore spot for the Kremlin in the years after the U.S. set it up in late 2001, Russian and Kyrgyz officials acknowledge. Putin had smoothed the way for U.S. military installations to be built across Central Asia in the wake of the 9/11 terrorist attacks, but he felt that the Bush White House barely acknowledged the gesture. “What Bush offered Putin was a hat and a barbecue in Crawford, and that was it,” said Alexei Pushkov, a prominent Russian TV commentator with extensive contacts in Moscow political circles. Anger turned to suspicion as the White House backed a series of pro-democracy revolutions in what Russia calls its “near abroad”: Georgia in 2003, Ukraine the following year and Kyrgyzstan in 2005. Plans for a U.S. missile-defense shield on Russia’s borders followed those political upheavals. While the U.S. government said those developments had nothing to do with Moscow, there was deep suspicion in the Kremlin that the Americans had begun a strategy of encircling Russia. Putin and his government began to push back against U.S. interests in Central Asia, wanting to be sure that they and not Washington were the ones calling the shots. “Russia enjoys the role of a gatekeeper. It’s trying to defend this. It’s eager to spend huge money in order to keep its geopolitical and geostrategic role,” said Nikolai Petrov, scholar in residence at the Carnegie Moscow Center and a critic of Putin. The Kyrgyz, meanwhile, came to see advantage in the U.S.-Russia competition. The small nation of just 5.3 million people, wedged between China and Kazakhstan, has long been a crossroads for great powers. Bishkek today is home to both faded Soviet monuments and the American University of Central Asia. It is simply wrong for commentators to continue to focus on President Barack Obama’s high levels of popularity, and to conclude that these are indicative of high levels of public confidence in the work of his administration. Indeed, a detailed look at recent survey data shows that the opposite is most likely true. The American people are coming to express increasingly significant doubts about his initiatives, and most likely support a different agenda and different policies from those that the Obama administration has advanced. Polling data show that Mr. Obama’s approval rating is dropping and is below where George W. Bush was in an analogous period in 2001. Rasmussen Reports data shows that Mr. Obama’s net presidential approval rating — which is calculated by subtracting the number who strongly disapprove from the number who strongly approve — is just six, his lowest rating to date. U.S. Secretary of State Hillary Clinton said Friday that the United States and Russia have the opportunity to cooperate on missile defense. “We believe that Russia and the United States have the opportunity to do joint research and joint development. And even eventually assumingly we can reach such an agreement (on) joint deployment,” Clinton said in Brussels. Clinton’s remarks were the latest in years of argument between Russia and the United States on the latter’s ambition to deploy a missile defense shield in Eastern Europe. In 2002, the United States started negotiations with Poland on the missile shield issue, without making any significant progress due to their difference. In January 2007, Washington resumed negotiations with Warsaw and Prague and finalized agreements with the two countries before Bush’s departure from the White House. The U.S. plan has met strong opposition from Moscow, which insists that the missile shield, if deployed, will undermine Russia’s national security. In November 2008, Russian President Dmitry Medvedev announced plans to deploy missiles in Kaliningrad, to counter the U.S. defense shield plan. Barack Obama’s administration has already decided to review the effectiveness of the missile shield and its cost. Washington has spent the past couple of weeks debating whether Barack Obama’s ambitious agenda and political strategy are more comparable to those of Franklin Roosevelt or Ronald Reagan. Oddly, hardly anyone is talking about the ways in which Obama is beginning to resemble the man who just vacated the White House. Then, according to today’s established wisdom, Bush squandered his chance to lead. Three cardinal errors are commonly cited: The president failed to ask a willing nation for sacrifice, instead inviting consumers to shop and heaping on more tax cuts. Rather than forge a bipartisan response to the crisis, he used it to ram through big, polarizing pieces of the Republican Party’s ideological agenda — from asserting presidential powers to breach treaties to eliminating protections for federal workers. 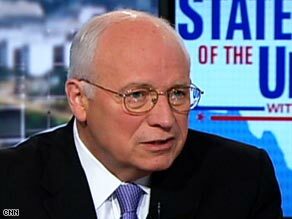 Worst, he chose to launch a war of choice in Iraq, thereby shredding what remained of post-Sept. 11 national unity and diverting attention and resources from the fight against al-Qaeda in Afghanistan. What about bipartisanship? Like Bush, Obama offered a few early gestures. And like Bush, he has been unapologetic about using emergency measures like the stimulus bill to press polarizing Democratic priorities, such as the expansion of Medicaid benefits to the unemployed and union-friendly contracting provisions. The report also says Israel’s time frame for action is growing shorter, not only because of Iranian advances, but because Teheran might soon acquire upgraded air defenses and disperse its nuclear program to additional locations. The report, “Preventing a Cascade of Instability,” was put out by the Washington Institute for Near East Policy (WINEP). It also argues that international sanctions against Iran need to be intensified urgently for the engagement the Obama administration is planning with Teheran to be effective. An early draft of the report was endorsed by Dennis Ross before he withdrew upon joining the Obama administration, in which he is serving as a special adviser dealing with various countries in the region, including Iran. Senator Evan Bayh of the Senate Select Committee on Intelligence, and Congressman Gary Ackerman, chairman of the House Foreign Affairs subcommittee on the Middle East, were among the signatories. Iran’s president and other officials have at times appeared to welcome Obama’s proposal for greater dialogue, but the remarks Wednesday suggested that Iranian positions on the Israeli-Palestinian conflict and other issues would pose obstacles. The comments were also a reminder that Iran’s complex leadership structure brings together clerics and political leaders with views that sometimes differ sharply. Filmmaker Michael Moore, who says the Wall Street bailout is “the biggest swindle in American history,” is asking bankers to help him make a movie proving it. The 55-year-old Michigan native posted an open letter on his Web site yesterday seeking volunteers to “step up as an American and do your duty of shedding some light” on the almost $1.1 trillion in losses and writedowns globally. Moore also sent the letter to people on his e-mail list. While some bankers may be tempted to get involved with the filmmaker who pilloried former President George W. Bush’s response to the Sept. 11, 2001, terrorist attack on the U.S., they should think before they contact Moore, said Davia Temin, chief executive officer of crisis-management firm Temin & Co.
Moore declined to comment, according to a spokesman for Overture Films LLC, who asked to remain unidentified because he doesn’t represent the filmmaker directly. The company is owned by Starz LLC, part of cable billionaire John Malone’s holdings, and is the movie’s distributor for North America. A release date hasn’t been announced. 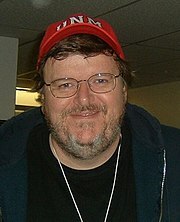 The filmmaker, whose documentaries skewered General Motors Corp. and the U.S. health-care industry, is in the middle of shooting the movie, according to his Web site, http://www.michaelmoore.com. He made his name with the 1989 release of “Roger & Me,” documenting Moore’s unsuccessful efforts to confront former GM CEO Roger Smith about his management of what then was the world’s biggest automaker. Bankers should counter potential fallout from Moore’s venture by assembling a rescue program to buy houses going into foreclosure and give them back to their owners, Temin said. While the Overture spokesman wouldn’t comment on the title of Moore’s movie, the filmmaker asked in his e-mail for responses to be sent to bailout@michaelmoore.com. Moore claimed on his Web site to have heard from a “few brave people” already. You are currently browsing the archives for the Bush category.